“If you did a survey, I believe you’d find that the one thing average and above-average baseball players have in common is a father. Sounds like baseball is just a microcosm of life. This entry was posted on April 9, 2018 at 7:38 am and is filed under Sports & Athletics, Sports - Games - Recreation. You can follow any responses to this entry through the RSS 2.0 feed. You can leave a response, or trackback from your own site. Baseball in the USA now is mostly taught starting with T-ball and moving along in organized leagues at least in the burbs. That’s one of the complaints by MLB that more inner city kids are not playing baseball, so those avenues may not exist. 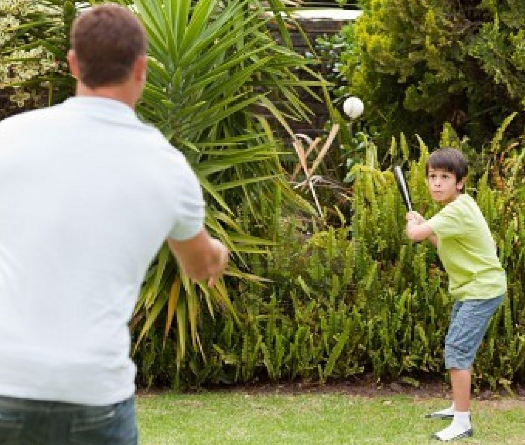 A large percentage of the MLB players come from Hispanic countries where the father plays a big part but also in those ares the “pick up game” is baseball or soccer. With the increase in home basketball hoops in the burbs of USA cities more burn kids are playing basketball. The inner city has basketball courts but few baseball diamonds and programs so MLB has dropped the ball here and no support seems to be coming. When I was a boy I learned in the neighborhood then I taught my brother- note neither of us made it to the bigs but we played a lot of baseball and enjoyed. I am still a big baseball fan today. How about those World Series Astros.